Mom Threw Out My Baseball Cards! Question: I looked at my desk the other day and shuddered. It’s an absolute mess and I have no idea where to start (my garage at home is in the same condition, only worse). Should I light a match? Answer: Hold off on the match for a while. As I pondered this question I realized how easy it is for our lives to become cluttered with “stuff.” We live in a society of possessions. In the 1800s, pioneers made their way across this country with some clothing, an heirloom or two and not much else. How well would we fare if we didn’t have 90% of the “stuff” that we have? I know it would certainly be tough for me. And I tend to discard things that don’t work anymore or that I don’t need or want. My parents were hoarders. It was amazing the things that they accumulated over the years. Fortunately I do not possess the hoarding genes. The physical clutter in our lives can be a mirror of the clutter that resides in our minds. How much “stuff” is rattling around in the attic of our brain? What does this clutter mean for our emotions; our creativity; our personality, and our ability to function at a high level? I have an easy self-test that serves as a bit of an early warning system when I’m getting mind clutter. When I find that my concentration level begins to slip, that’s my brain telling me that it’s on overload and the clutter is reaching the critical level. So what have I done to resolve this dilemma? My solution is what I call “selective memory.” It used to be that I tried to remember every last detail of everything with which I was involved. This was the case in my personal life as well as my business life. And one day I just couldn’t do it any longer. So I decided that it’s just not important to remember every single detail. Now, I live in the moment and then move on. If there is something important that I need to remember I slow down long enough to make sure I’ve absorbed it and I tell myself that I must remember it. I’m a slave to my electronic calendar, task list and electronically archived documents. No longer do I try and remember where I’m supposed to be four days from now at 2:00. I just look at my calendar and I know. You may be reading this and think that I’m the Master of the Obvious – and maybe that’s true. But wait until you’re my age and are trying to recall decades upon decades of “stuff.” I wish I’d learned how to prevent mind clutter much earlier in life and bet that my productivity would have increased immensely. Today I make no apologies when someone asks me about something someone said several weeks ago and they get a blank stare from me. The process of selective memory protects me from mind overload; allows me to live in the moment, and release that which isn’t important for me to remember forever. As entrepreneurs we can improve our productivity by de-cluttering our physical and our mental lives. 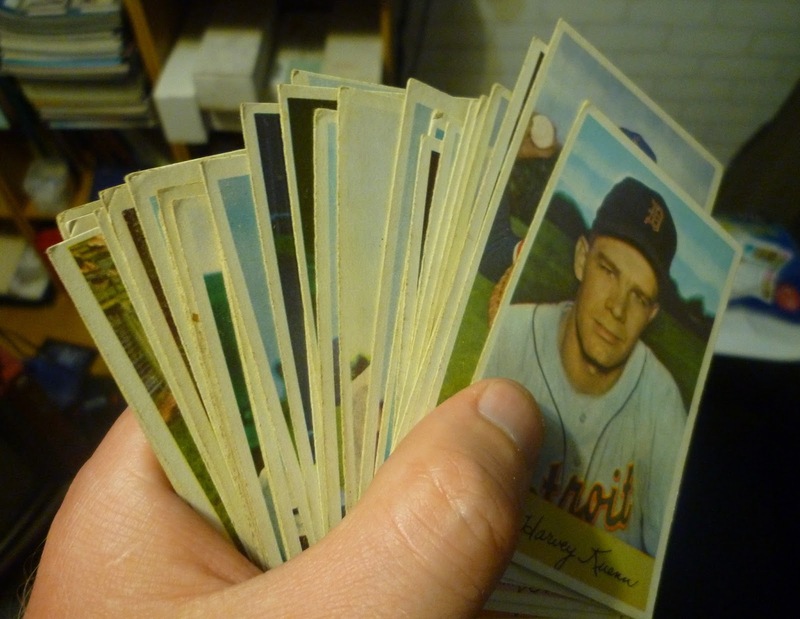 Maybe my mom started teaching me this when she threw out my baseball card collection nearly 50 years ago . . . This entry was posted in Entrepreneurship and tagged clutter, de-clutter, Entrepreneurial Spirit, Entrepreneurs, Entrepreneurship, memory, mind clutter by anentrepreneurswords. Bookmark the permalink.